My washer only fills with cold water NO HOT WATER! I set it to hot water and all I get is cold. I have tried all heating settings including warm wash and hot wash and the water is always cold. Is there a part on my washer that needs to be turned on for hot water? We recently moved the washing machine into the garage and ever since it is only filling with cold water. As far as I can tell everything is exactly the same, so I am thinking something in the washer is broken or needs cleaned. Can you please assist me and tell me what is the most likely problem? I cannot afford an appliance repair right now. SAFETY NOTE: Remove power to washer before working to troubleshoot washing machine and do not detach any water hoses without turning off water valves first. – Be sure the hot water heater in your home is operating and other faucets are getting hot water – If no hot water, check water heater. 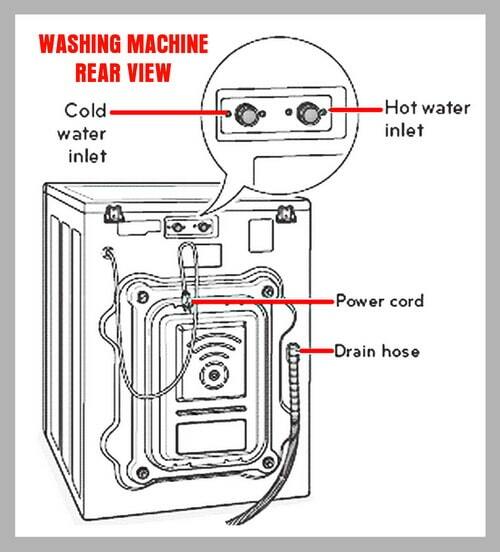 – Make sure you have the hot water valve OPEN that supplies HOT water to the washer – Located behind the washer. – Check to be sure the hot water inlet hose is not clogged – If it is, no hot water can enter washer. – Examine the hose mesh filters that go in between the hoses and the washer – Mesh filters can clog and restrict water flow. – Take rear panel off washer and examine wiring to and from the water inlet valve – Connect any loose wires wire harnesses – Replace any damaged wiring. 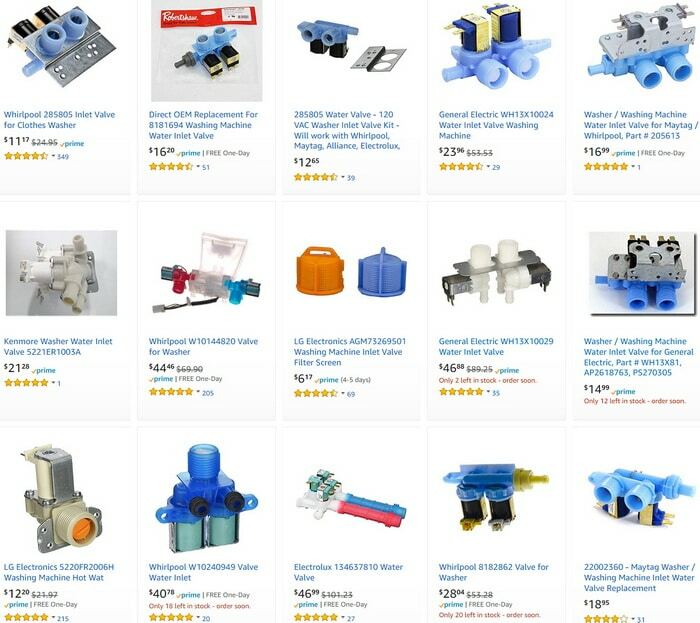 – Check for a possible fault where the hot water solenoid IS AT FAULT therefore no hot water enters the washer and the water inlet valve needs replaced. – Check the timer/heater mechanism (that sets the hot water for the washer) and be sure no loose or damaged wires are found. 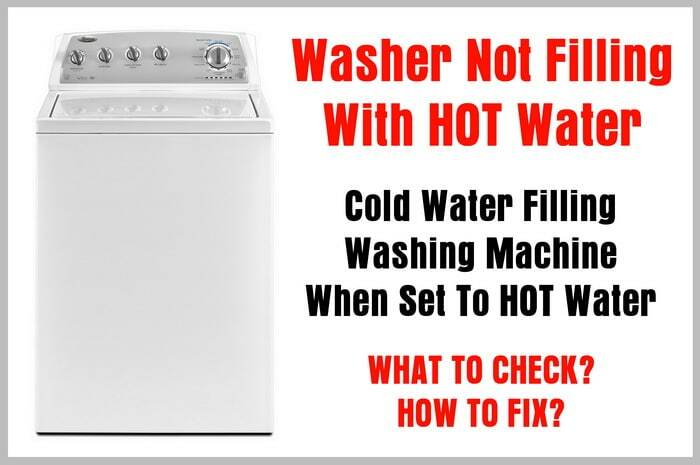 Let us know what you have done to try and solve the issue and leave your info below including the model number of your washer and we will be happy to help you to fix your washer. Hello, I have a Samsung washer, model WA40J3000AW/AA, it it always fills with cold water. I checked the solenoids and they are all good, around 1k ohms. I checked voltages and only the middle valve gets energized, 120V, when filling, regardless of temperature selected. The hot water valve never gets energized. I will note that all 3 valves seem to get 50V until the valve gets actuated and goes up to 120v. I don’t know if it has always been like this, or not. I’m not sure where to go with this. Any ideas? I appreciate the help! I have a Whirlpool CAE2743BQ0. It’s about two years old, but for the last couple months I only get cold water. I definitely have hot water going to the machine. There are no clogged hoses or screens. I tested the water inlet valve with a multimeter. I kept getting fluctuating readings, anything from 10 to 80. Maybe I wasn’t using it correctly. I went ahead and replaced the water inlet valve, and it started filling with hot water for a few seconds and so I thought it was fixed. But after a few seconds it switched back to cold, and now it only does cold again. Next I replaced the water temperature switch, but no improvement. Your instructions say that I can next check the timer/heater mechanism. I’m more than willing to replace the mechanism, but I don’t know what it looks like or what the part number is. Can you please help? The machine never lets hot water in. So when it is set on any temperature including hot only the cold water runs into the machine. I can turn off the cold water and then no water goes into the machine. I replaced the switch that controls the temperature and I have replaced the inlet valve that lets the water into the machine. It still only lets cold water in. What could be the problem? Previous post: Bathtub Shower Drain Is Constantly Clogging From Long Hair – How To Prevent Drain Clogs From Hair?